Breaking News: Teenage Mutant Ninja Turtles renewed for a third season!!! While it was only few weeks that Nickelodeon has renewed Teenage Mutant Ninja Turtles for a second season, and while the first season is still airing its second part, the channel has renewed the show for a third season, according to Variety. So to get you more excited, this means there will be at least 78 episode of the excellent Ninja Turtles show. Are you excited to hear this awesome news? Video preview for this week’s episode of TMNT, titled TCRI ! Nick – TMNT – Tune In from Carl Vasile on Vimeo. Nick’s Teenage Mutant Ninja Turtles welcomes Karai and Krang Prime! The picture above appeared on an exclusive TV Guide article about Nickelodeon’s Teenage Mutant Ninja Turtles. The lady in the figure is none other than Karai, who will be voiced by Kelly Hu. Her design is quite different that what we have seen in previous incarnation and might take some fans some time to get used to. 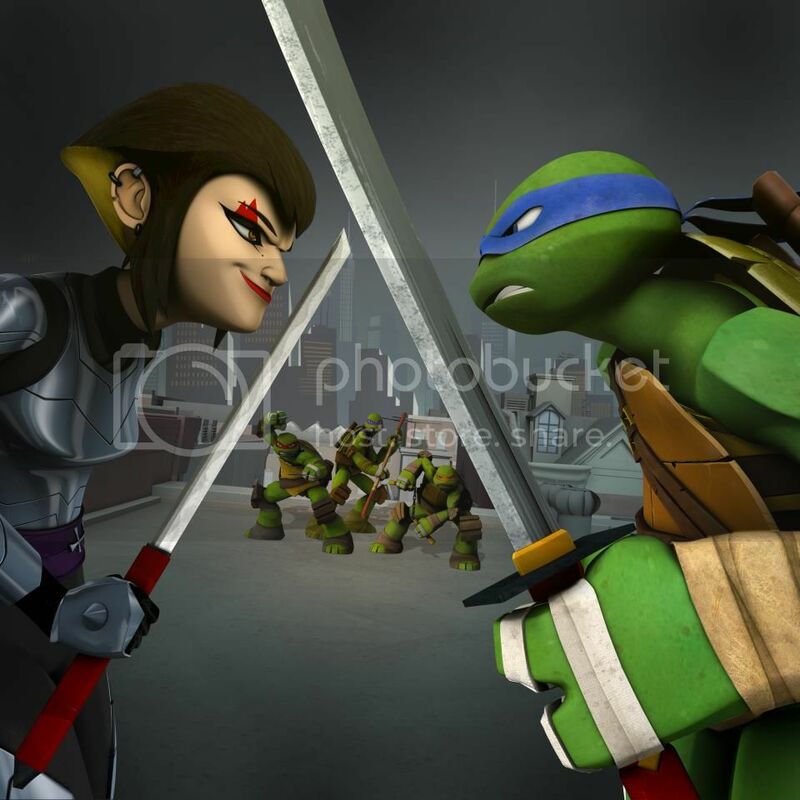 Karai will debut in the February 2nd episode, titled “New Girl In Town”. The article also reveals a new character that will appear in the season’s finale. The charcatre is been voiced by comedian and presidential candidate, Roseanne Barr. Roseanne will portray Krang Prime, who seems to be the leader of the Alien species known as the Kraang. Actress Cassandra Petterson, will also join the cast of the hit show, as Mrs Campbell, a scientist from the World Wide Genome Project, that takes a suspicious interest in April O’Neil. The character will debuts in the Feb. 9 episode titled “The Alien Agenda” . TMNT “Mouser Attack” Clip from Jessica Wilson on Vimeo.